Pellentesque habitant morbi Pellentesque habitant morbi tristique senectus et netus et malesuada fames ac turpis egestas. Vestibulum tortor quam, feugiat vitae. 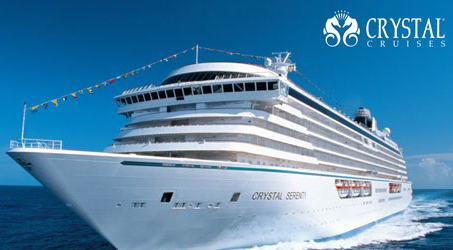 Crystal Cruises Gracing seas since 1988, Crystal Cruises has been one of the leading luxury cruise lines in the industry. Both at sea and ashore, guests are introduced on new heights of high-end travel through a grand selection of travel destinations and activities. With its ample space and extraordinary services, Crystal comes with special offers from various destinations around the globe, including Mediterranean, Africa, and Alaska cruises among others. Crystal Cruises is wholly-owned by Nippon Yusen Kaisha (NYK), one of the largest shipping companies in the world, and currently operates with two highest-rated ships namely, Crystal Symphony and Crystal Serenity. 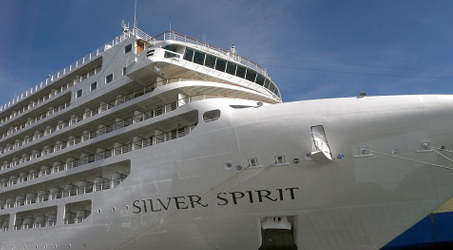 Silver Spirit Silversea Cruises is owned and operated by one family — the Lefebvres of Rome. The cruise line launched its first ship in 1994, the Silver Cloud, and introduced eccentric destinations which can only be reached by smaller luxury vessels; one of the best advantages Silversea vessels offer. While specially-designed on a smaller scale, Silversea promises exclusive and personalized services to fewer guests onboard comparable with those from vessels which are greater in size. Silversea sails across Micronesia and South Pacific, Central America and Caribbean, among others. Silversea has branch offices in the United States, United Kingdom, Australia and Singapore, and main headquarters in Monaco. 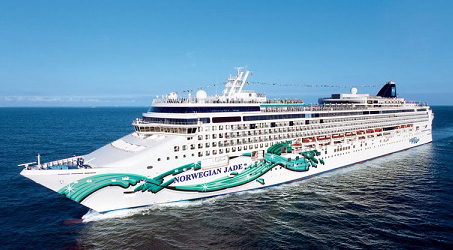 Norwegian Jade Norwegian Cruise Lines has been in the cruise industry for almost fifty years, engaging travelers to non-traditional cruising experience. Named as “Europe’s Leading Cruise Line” for seven consecutive years, “Caribbean’s Leading Cruise Line” and “World’s Leading Cruise Line” by the World Travel Awards, guests are invited to “cruise like a Norwegian” and enjoy a more flexible and customized stay in its resort-style vessels. Norwegian offers freestyle cruising with various activities both adult and young travelers can enjoy. Norwegian Cruise Line is the official cruise line of the Miami Dolphins/Sun Life Stadium, The New York Knicks, Blue Man Group and Legends in Concert; and the official cruise line partner of The GRAMMY Awards and is an official partner of the Rockettes and Radio City Music Hall. 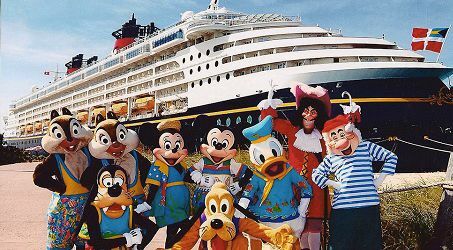 Disney Cruise Incorporated in the late 90’s by the Walt Disney Company, Disney Cruise Lines began its first sail with Disney Magic, a grand vessel with 11 expansive decks to fit nearly 3,000 passengers in full comfort. A structure both modern and classic, Disney Magic covers Mediterranean and Caribbean itineraries. Following Magic are Wonder, Dream and Fantasy, which among the 4 fleets, features Art Nouveau designs and state-of-the-art facilities. True to its name, Disney remains to enchant guests with amazing entertainment, activities, amenities, dining services and other specialties. Aside from promising destinations and cruises, Disney engages travelers on live acts and onboard screenings of well-loved Disney tales.